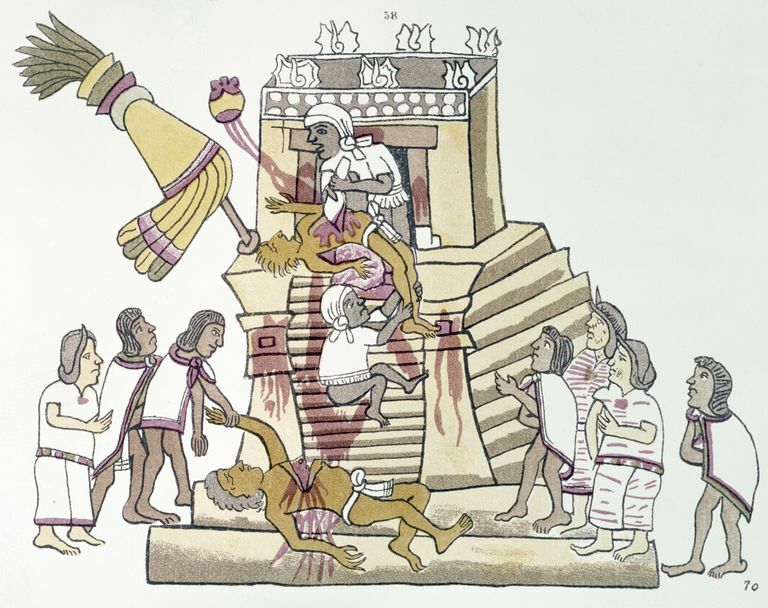 Aztec sacrifices were famously a part of the Aztec culture, famous in part because of deliberate propaganda out of the Spanish conquistadors in Mexico, who at the time were involved in executing heretics and opponents in bloody ritual displays as part of the Spanish Inquisition. The over-emphasis on the role of human sacrifice has led to a distorted view of Aztec society: but it is also true that violence formed a regular and ritualized part of life in Tenochtitlan. Sacrifices were a regular and ritualized part of life in 15th- and 16th-century Aztec capital cities. The numbers and extent of the practice were almost certainly inflated by Spanish conquistadors. Reasonable estimates are between 1000 and 20,000 human sacrifices per year in Tenochitlan; the Spanish claimed much more. The main religious purpose was to renew and sustain life, and to communicate with the gods. As a political tool, sacrifice was used terrorize Aztec subjects and legitimize the Aztec rulers and the state itself. How Common Was Human Sacrifice? As many Mesoamerican people did, the Aztec/Mexica believed that sacrifice to the gods was necessary to ensure the continuity of the world and the balance of the universe. They distinguished between two types of sacrifice: those involving humans and those involving animals or other offerings. Human sacrifices included both self-sacrifice, such as bloodletting, in which people would cut or perforate themselves; as well as the sacrifice of the lives of other human beings. Although both were quite frequent, the second one gained the Aztecs the fame of being a bloodthirsty and brutal people who worshiped cruel deities. For the Aztecs, human sacrifice fulfilled multiple purposes, both at the religious and socio-political level. They considered themselves the “elected” people, the people of the Sun who had been chosen by the gods to feed them and by doing so were responsible for the continuity of the world. On the other hand, as the Mexica became the most powerful group in Mesoamerica, human sacrifice acquired the added value of political propaganda: requiring subject states to offer up human sacrifice was a way to maintain control over them. The rituals connected with the sacrifices included the so-called "Flowery Wars" intended not to kill the enemy but rather to obtain slaves and live war captives for sacrifices. This practice served to subjugate their neighbors and send a political message to both their own citizens as well as foreign leaders. A recent cross-cultural study by Watts et al. (2016) argued that human sacrifice also propped up and supported the elite class structure. But Pennock (2011) argues that to simply write off Aztecs as bloodthirsty and uncivilized mass murderers misses the central purpose of human sacrifice in Aztec society: as a deeply held belief system and part of the requirements for the renewal, sustaining and refreshing of life. Human sacrifice among the Aztec usually involved death by heart extraction. The victims were chosen carefully according to their physical characteristics and how they related to the gods to whom they would be sacrificed. Some gods were honored with brave war captives, other with slaves. Men, women, and children were sacrificed, according to the requirements. Children were specially chosen to be sacrificed to Tlaloc, the rain god. The Aztecs believed that the tears of newborn or very young children could ensure rain. The most important place where sacrifices took place was the Huey Teocalli at the Templo Mayor (Great Temple) of Tenochtitlan. Here a specialist priest removed the heart from the victim and threw the body down the steps of the pyramid; and the victim's head was cut off and placed on the tzompantli, or skull rack. However, not all sacrifices took place on top of pyramids. In some cases, mock-battles were organized between the victim and a priest, in which the priest fought with real weapons and the victim, tied to a stone or a wooden frame, fought with wooden or feathered ones. Children sacrificed to Tlaloc were often carried to the god’s sanctuaries on top of the mountains that surround Tenochtitlan and the Basin of Mexico in order to be offered to the god. The chosen victim would be treated as a personification on earth of the god until the sacrifice took place. The preparation and purification rituals often lasted more than one year, and during this period the victim was taken care of, fed, and honored by servants. The Sun Stone of Motecuhzoma Ilhuicamina (or Montezuma I, who ruled between 1440-1469) is an enormous carved monument discovered at the Templo Mayor in 1978. It features elaborate carvings of 11 enemy city-states and likely served as a gladiatorial stone, a dramatic platform for gladiatorial combat between Mexica warriors and captives. Most ritual killings were practiced by religious specialists, but Aztec rulers themselves often took part in the dramatic ritual sacrifices such as the dedication of Tenochtitlan's Templo Mayor in 1487. Ritual human sacrifice also took place during elite feasting, as part of a display of power and material wealth. Mexican archaeologist Alfredo López Austin (1988) described four types of Aztec sacrifice: "images," "beds," "owners of skin," and "payments." Images (or ixpitla) are sacrifices in which the victim was costumed as a particular god, becoming transformed into the deity at a magic ritual time. These sacrifices repeated the ancient mythical time when a god died so his force would be reborn, and the death of the human-god impersonators allowed the rebirth of the god. The second category was what López Austin called the "beds of the gods," referring to retainers, those victims killed in order to accompany an elite personage to the underworld. The "owners of skins" sacrifice is that associated with Xipe Totec, those victims whose skins were removed and worn as costumes in rituals. These rituals also provided body part war trophies, in which the warriors who captured the victim were awarded a femur to display at home. Apart from the Spanish and indigenous texts describing rituals involving human sacrifice, there is also ample archaeological evidence for the practice. Recent investigations at the Templo Mayor have identified the burials of high-ranking personages who were ritually buried following cremation. But the majority of human remains found in Tenochtitlan excavations were sacrificed individuals, some beheaded and some with their throats cut. One offering at the Templo Mayor (#48) contained the remains of approximately 45 children sacrificed to Tlaloc. Another at Tlatelolco's Temple R, dedicated to the Aztec god of the rain, Ehecatl-Quetzalcoatl, contained 37 children and six adults. This sacrifice was carried out at Temple R's dedication during the great drought and famine of 1454–1457 CE. The Tlatelolco project has identified thousands of human burials which were ritually deposited or sacrificially offered. In addition, evidence of human blood residue at the House of the Eagles in Tenochtitlan's ceremonial precinct indicates bloodletting activities. López Austin's fourth category was sacrificial debt payments. These types of sacrifices are epitomized by the creation myth of Quetzalcoatl (the "Feathered Serpent") and Tezcatlipoca ("Smoking Mirror") who transformed into serpents and tore apart the earth goddess, Tlaltecuhtli, angering the rest of the Aztec pantheon. To make amends, the Aztecs needed to feed Tlaltecuhtli's endless hunger with human sacrifices, thereby staving off total destruction. According to some Spanish records, 80,400 people were slaughtered at the dedication of the Templo Mayor, a number likely exaggerated by either the Aztecs or the Spanish, both of whom had reason to inflate the numbers. The number 400 had a significance to Aztec society, meaning something like "too many to count" or the biblical notion involved in the word "legion." There is no doubt that an unusually high number of sacrifices did occur, and 80,400 could be construed to mean 201 times "too many to count." Based on the Florentine codex, scheduled rituals included a figure of around 500 victims a year; if those rituals were conducted in each of the calpulli districts of the city, that would be multiplied by 20. Pennock argues persuasively for an annual number of victims in Tenochtitlan of between 1,000 and 20,000. Ball, Tanya Corissa. "The Power of Death: Hierarchy in the Representation of Death in Pre- and Post-Conquest Aztec Codices." Multilingual Discourses 1.2 (2014): 1–34. Print. Berdan, Frances F. "Aztec Archaeology and Ethnohistory." New York: Cambridge University Press, 2014. Print. Boone, Elizabeth Hill, and Rochelle Collins. "The Petroglyphic Prayers on the Sun Stone of Motecuhzoma Ilhuicamina." Ancient Mesoamerica 24.2 (2013): 225–41. Print. De Lucia, Kristin. "Everyday Practice and Ritual Space: The Organization of Domestic Ritual in Pre-Aztec Xaltocan, Mexico." Cambridge Archaeological Journal 24.03 (2014): 379–403. Print. Klein, Cecelia F. "Gender Ambiguity and the Toxcatl Sacrifice." Tezcatlipoca: Trickster and Supreme Deity. Ed. Baquedano, Elizabeth. Boulder: University Press of Colorado, 2014. 135–62. Print. López Austin, Alfredo. "The Human Body and Ideology: Concepts of the Ancient Nahuas." Salt Lake City: University of Utah Press, 1988. Pennock, Caroline Dodds. "Mass Murder or Religious Homicide? Rethinking Human Sacrifice and Interpersonal Violence in Aztec Society." Historical Social Research / Historische Sozialforschung 37.3 (141) (2012): 276–302. Print. Schwartz, Glenn M. "The Archaeological Study of Sacrifice." 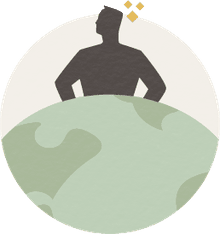 Annual Review of Anthropology 46.1 (2017): 223–40. Print. Watts, Joseph, et al. "Ritual Human Sacrifice Promoted and Sustained the Evolution of Stratified Societies." Nature 532.7598 (2016): 228–31. Print.